With view to achieve the objective of our CSR Project "Vama Lakshmi" i.e. 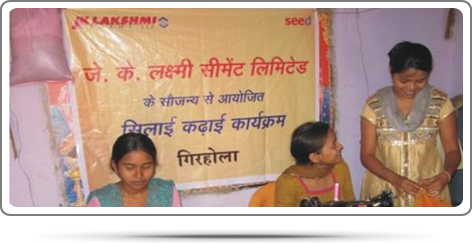 to encourage women empowerment through skill enhancement and enable them to earn their livelihood. We have established a new Skill Development Centre(Tailoring Class) for women at Tundi village. The Centre was inaugurated by Shri R K Gupta Sir CSR Head of JK Organisation during his visit of Surat Grinding Unit. The Company undertook a drive to upgrade the skills of Masons and also with an expectation that after this training, some of the Masons after acquiring these skills on latest technologies, will venture as contractor and earn their livelihood more than the present level of their earnings. In other words, we through this intervention have made attempts to encourage entrepreneurship amongst Mason Community. During the financial year 2014-15, trainings were conducted at Chattisgarh, Odisha and Rajasthan through renowned institutions specializing in this area, benefitting 500 Masons. 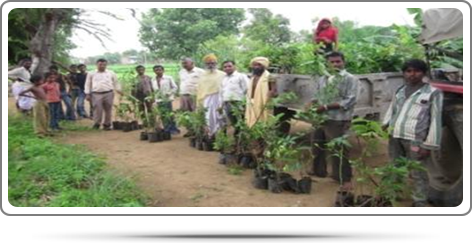 Distributed high quality seeds of fruits/vegetables. We have arranged sewing machines in villages in & around our plant location and so far around 250 women have learnt sewing. Few of them are earning by stitching clothes as per requirements of villagers/nearby villages and school uniforms. SHG’s formed in 8 villages near Durg Plant. 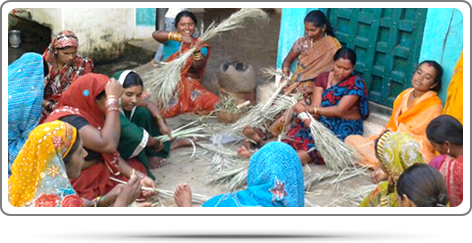 147 SHG members have commenced income generation via stitching & embroidery, broom & mat making, paper plate/Dona making, cushion making and recent addition being sanitary napkin making. Established Shop for SHG’s for marketing their produce. Distributed to farmers of nearby villages who are selling the produce in the local market and generating additional income.